What Are You Doing while Waiting for Christ to Return? The Bible promises that that Christ Jesus will return from heaven to the earth at some point in the future. When speaking about this, a sense of urgency is often present. As believers we are instructed that Jesus can return at any moment, therefore we should be ready and looking for him to return. 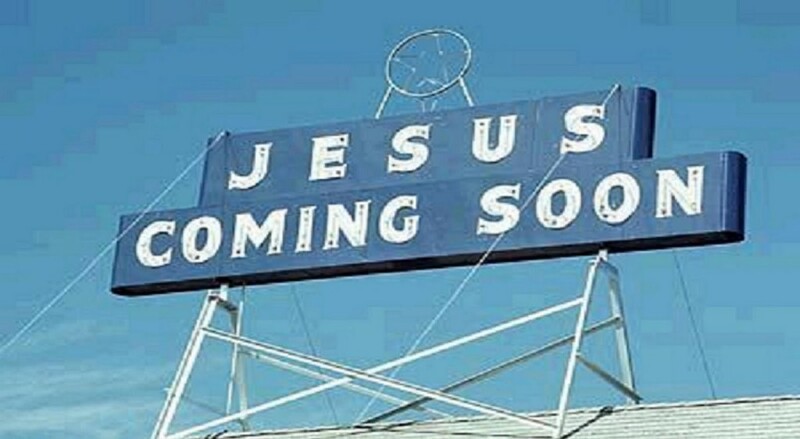 There are over 2 times as many verses in the Bible about our Lord’s second coming as there are about his first. Since his first coming obviously happened, there is no doubt he will return in due time. Nothing whatsoever can prevent it from happening. Here are a few verses to remind you about what God says bout Christ’s return. Hebrews 10:37 For in just a very little while, “He who is coming will come and will not delay. James 5:7-9 Be patient, then, brothers, until the Lord’s coming. See how the farmer waits for the land to yield its valuable crop and how patient he is for the autumn and spring rains. You too, be patient and stand firm, because the Lord’s coming is near. Don’t grumble against each other, brothers, or you will be judged. The Judge is standing at the door! Revelation 22:12-13 - And, behold, I come quickly; and my reward [is] with me, to give every man according as his work shall be. Did you catch the sense of urgency? Well, it’s been nearly 2000 years since the crucifixion and resurrection of our Lord Jesus Christ and he still has not returned. Many people, including entire major denominations have given up on our Lord’s return and don’t even teach it any more. How sad is that? They changed the teaching of the word and teach Christ will return only when the earth has been perfected for him to return. If your denomination teaches we have to perfect either the church or the world to pave the way for Christ to return, I suggest you find a different church or fellowship. What else could I say about it? Are you a Christian in name only or in substance? The Bible says Christ is the truth. Do you stand for truth or not? If you say you are Christian then it’s your obligation to stand for truth and to expose error. What a difference we would make in this world if even a third of those who claim to be Christian actually knew and stood on the Word of God against all opposition. What a difference that would make in our cultures of the world. What an impact it would make. Waiting for Christ’s return is not a passive event. The term ‘wait’ is interesting in itself. What do the people who serve you in a restaurant do? They ‘wait’ on you! That’s what we are supposed to be doing as we wait for Christ’s return! Waite! There is so much room to grow — there is so much to learn about our Lord Jesus Christ and God’s Plan from the Bible that it is inexhaustible. Never think you know it all or even that you ‘know enough’ to get by. Keep learning, keep growing. Never rest on your laurels. ”Laurels?” What are those! I don’t think I have any! Nay, I stand on the Word of God not anyone’s laurels! Notice it is in ‘grace’ we grow, not ‘law.’ Quit judging your brothers and sisters (including husbands and wives) in the body of Christ and start edifying them instead. Waiting is serving. Before we serve the world we need to serve each other, to build each other up and help each other grow and be our best for our Lord Jesus Christ. I’m not talking about brow-beating, demanding, nagging or any of these negative motivational techniques. I’m talking about love. Love is the strongest motivator in existence. Love each other in the body of Christ and give to one another as you are able. See the example of the early church, early in the book of Acts (go ahead and read the first 4 chapters of Acts to find out!). The body of Christ, the Christian church, is not a closed society. It’s open to anyone who wants to come in by invitation of the Master, our Lord Jesus Christ. Jesus said he would draw “all men” to himself. He does that in this period of time through the members of his body. That’s you and me! What a privilege it is to serve the living God and our Lord Jesus Christ by serving God’s Word to others in love! God so loved the world that he gave… so should we for we are representatives of the most High God and of His Christ. Both an exhortation and promise is given in these verses from Philippians! You can shine forth as stars holding forth the word of life! How awesome is that! How will they hear unless someone speaks to them? If we who know the truth shut our mouths when we have opportunity to speak, who will hold forth God’s Word? Only we who know it and believe it can tackle that responsibility. Our Lord will reward each and every person who serves the truth in love when he returns. If you do these things then I’m sure you will not come behind in any gift as you wait for our Lord Jesus from heaven. Don’t Get Tired of Waiting! 2 Peter 3:3-17 Above all, you must understand that in the last days scoffers will come, scoffing and following their own evil desires. But they deliberately forget that long ago by God’s word the heavens came into being and the earth was formed out of water and by water. Notice that we’ve been brought back around to my first suggestion of what to do while you wait for our Lord Jesus Christ to return! Grow in grace and in the knowledge of our Lord Jesus Christ! Now you see, that wasn’t my suggestion at all! It was God’s! Praise God! I’ll see you soon — here, there or “in the air” when our Lord Jesus Christ returns!